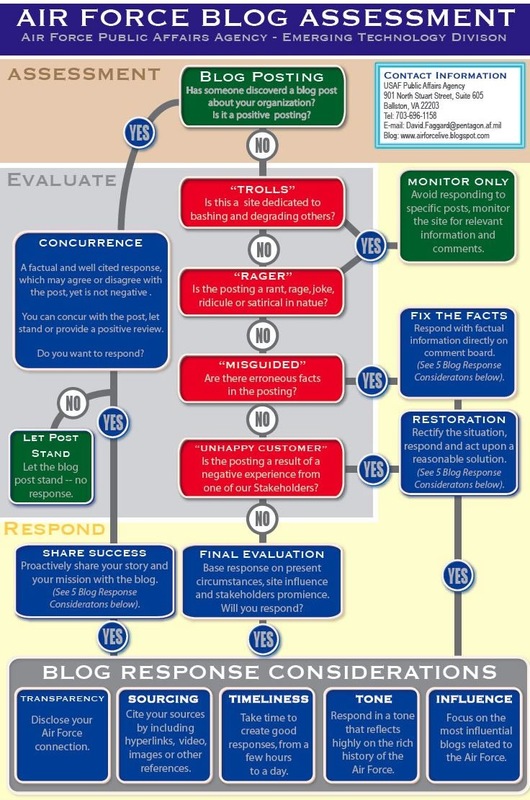 The Airforce has created a process flow diagram that indicates very succinctly how the Air Force can and should respond to blog posts, there’s a lot to learn from here, and for the most part, I try to follow these similar rules. The Airforce, well all military units across the globe come across criticism, so establishing a clear sense of communication guidelines. There’s a lot to be learned from this military diagram that can be applied to corporations or even your personal blogging efforts. On a personal note, my Grandfather was a decorated Lieutenant in General Patton’s 9th Army AirForce station in Europe in WW2, he flew a P47 Thunderbolt, and was one of the very few Chinese American pilots in the war. You can see clippings of an article that featured him (the beautiful lady is my Grandmother). The plane? He named it after his hometown here in Silicon Valley the “San Mateo Belle”.